People choose storage solutions for a variety of reasons. If they need a place for their belongings for a short while during a move, short-term storage can be a perfect fit. But often the storage unit is needed for a longer period of time. 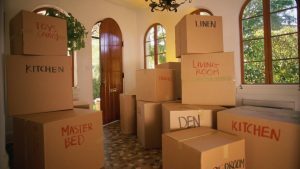 In these cases, there are some additional considerations to attend to prior to packing things up. From our years of serving customers in both short and long term situations, we would like to offer some tips. 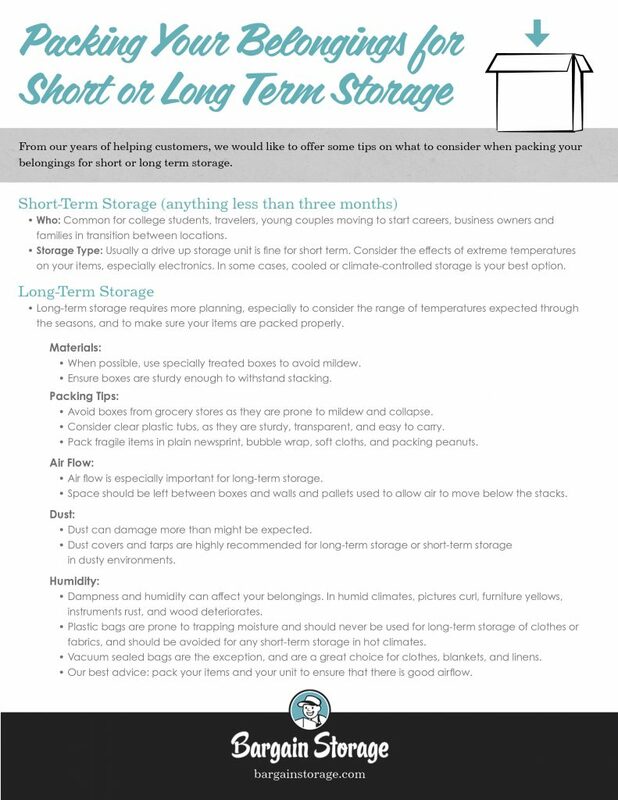 Generally, short-term storage is defined as anything less than three months. Short-term storage is a perfect solution for college students in between semesters, travelers abroad, young couples moving to start careers, and families in transition between locations. Short-term storage is also common in among business owners moving to a new location. With short-term storage, most find that a typical drive up storage unit is the perfect choice to get things stored and later moved with ease. However, there are a few notable exceptions to keep in mind. Extreme temperatures, either cold or hot,should be considered when you’re packing up. In extreme climates, some prefer a climate-controlled solution, even for short-term storage. Also, if electronics will be stored, climate controlled storage is recommended at peak summer and winter times. Even one month of extreme temperatures can damage electrical systems and motherboards. And, electronics should be wrapped carefully in their original box or in soft cloths in sturdy packing boxes or tubs. Those who make use of storage solutions for a long amount of time do so for many reasons. 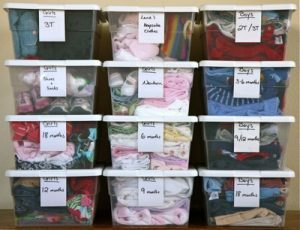 Some simply use it as an extension of their closets at home to keep clutter at bay and have an easy-access place to get to seasonal items through the year. Others choose storage options that give them freedom to travel or convenience through a longer transition. Regardless of the reason, long-term storage requires more planning. Thought should be given to upcoming seasons and the range of temperatures expected, in order to choose the best solution. Planning for storage includes thinking about the packing materials themselves. Ideally, if you go with boxes, you want them to be treated to avoid mildew and sturdy enough to withstand stacking. Depending on how tightly the unit will be packed, you may need to select certain sizes so corresponding stacks can be planned. While most people will think to gather boxes from grocery stores or similar locations, they are not ideal for longer term use , as they are prone to mildew and collapse. Clear plastic tubs are usually a favorite for both short and long term storage, as they are sturdy, transparent, and easy to carry. Fragile items are usually at risk more in transit than storage, and so they should be packed the same either way. Plain newsprint, bubble wrap, soft cloths, and packing peanuts are highly recommended to keep valuables cushioned throughout the packing, storage, and unpacking process. And, always remember to put the heavy items on the bottom and the lighter, more delicate items on top. Labeling of boxes is recommended for either storage situation, but it becomes very important in long-term storage. Those that try to go by memory as to what got put in which box or corner inevitably end up wasting a lot of time opening and re-opening boxes to find things later. 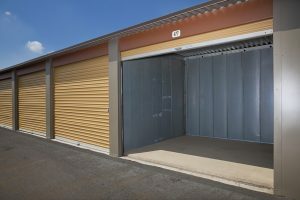 Air flow in any storage unit is very important, but it is especially important for long-term storage. Space should be left between boxes and walls, and pallets are recommended to keep things off the floor and allow air to move below the stacks. Most people do not give dust enough credit for being able to really do some damage. Even thin layers of dust can quickly cause problems on wood surfaces and fabrics, so dust covers and tarps are highly recommended for long-term storage or short-term storage in dusty environments. Dampness and humidity can wreak havoc on your belongings. When things are kept too long in humid environments, pictures curl, furniture yellows, instruments rust, and wood deteriorates rapidly. Plastic bags are prone to trapping moisture so they should never be used for long-term storage of clothes or fabrics, and should be avoided for any short-term storage in hot climates. The exception, of course, would be vacuum sealed bags. Those are a great choice for clothes, blankets, and linens. Appliances can also be prone to mold in storage. They should be wiped down thoroughly and the doors should be left open to keep air flowing. As you consider your options, we invite you to give us a call to discuss which of our many storage options might best fit your needs. Our staff will be glad to help you make the right choice! Download our helpful checklist for more short-term or long-term packing tips.